My mom was an early natural-foods enthusiast who helped start our first neighborhood co-op back in the 1970's. We'd join her on Saturdays when she'd work her volunteer shift and gawp in horror at the giant plastic slightly unclean looking self-serve bins containing god knows what kind of grains, beans, flours, oils and sludgy peanut butter. Peanut butter?! Was nothing sacred? But she was ahead of her time in the whole-foods movement at a time when most other mothers were reveling in the glory of boxed, canned and frozen foods (Hamburger Helper, Manwich Sloppy Joes, Hostess Ho-Hos, Swanson dinners, Wonder bread, etc.) Don't get me wrong. We would've been plenty happy with those options, but she insisted on food the slow way, before slow was cool. And now I thank her for it. So it's no surprise that she recently introduced me to baking with whole wheat pastry flour. Easy to substitute and so much better for you (3 grams of fiber per serving) than white. Tasty too. This is her crust - easy, foolproof, and in true mom style, with no added sugar. So it works equally well with sweet or savory fillings. Cut butter into small cubes, put in bowl and place in freezer for 10 minutes. 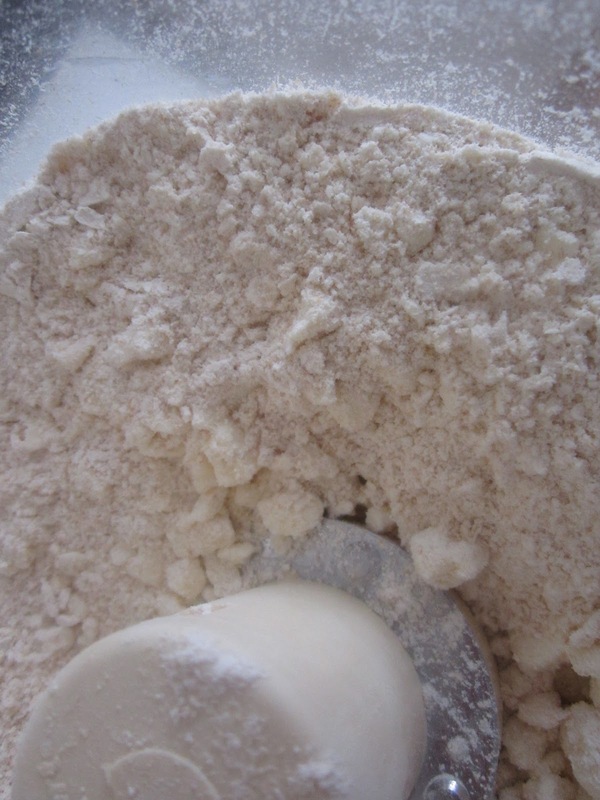 Combine flour and salt in food processor and pulse to combine. 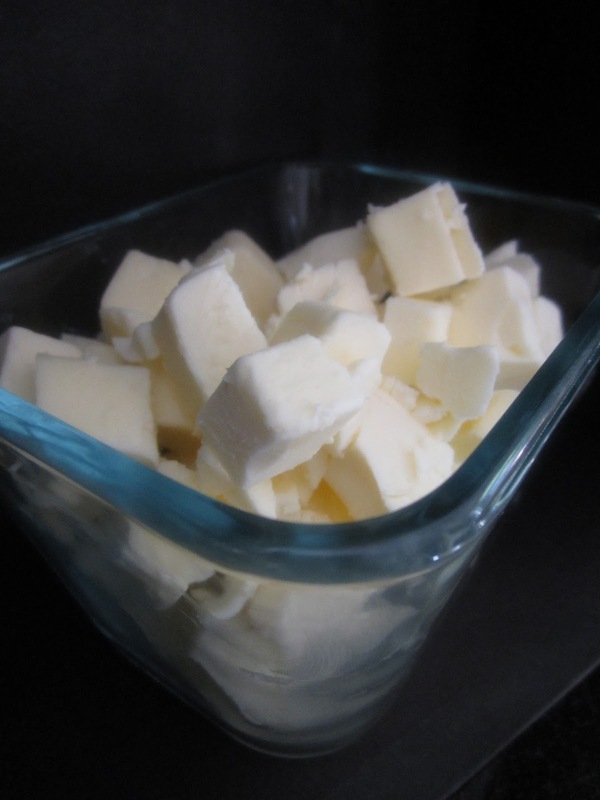 Add butter in 4 additions, pulsing 8 times after each addition. The dough will look sandy with pea-sized pieces. 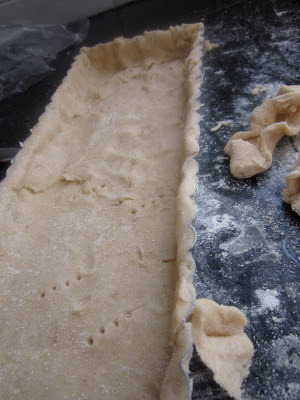 Add water, one tablespoon at a time, and pulse just until dough comes together. Dump onto sheet of plastic wrap and gather into a flat disk. Wrap and refrigerate for one hour and up to three days. Roll out dough on floured surface (it will be sticky) into the shape of your tart pan, about 1/4 inch thick. Don't worry if it's not perfect - if it tears, just patch it together. The apples will cover it. Press gently into sides and bottom. Prick with fork and refrigerate while you peel and slice apples. 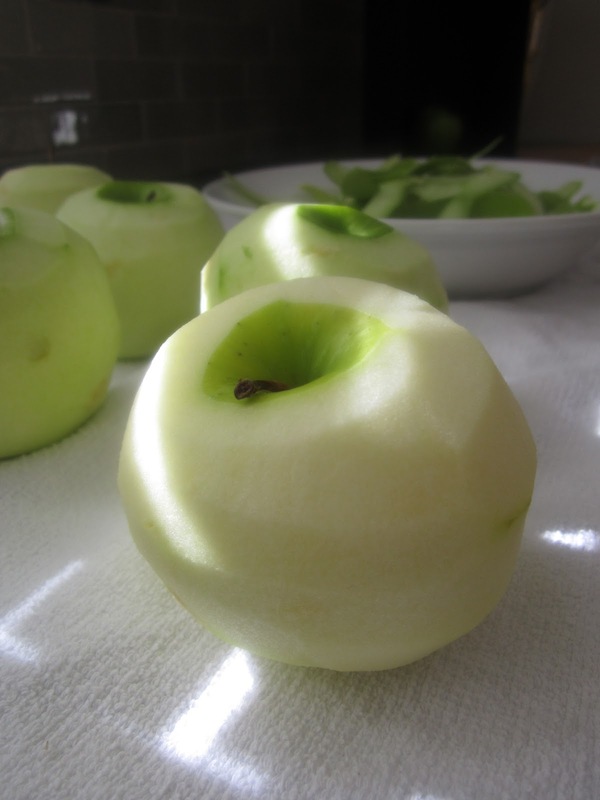 Peel apples and slice into 1/8 inch thick crescents. Save peels and cores for apple syrup. 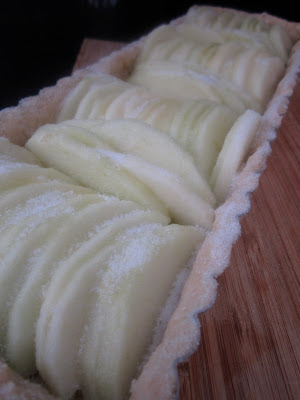 Place apple slices in tart shell in whatever pretty pattern you like, but pack them tightly together. Brush with melted butter and sprinkle liberally with sugar (this will create browning and a yummy applesaucey base inside the tart). Bake for 35 minutes or until pastry is golden and apples are tender. To make apple syrup cover peels and cores (just barely) with water, stir in sugar and simmer for 30 minutes or longer. Strain and brush over finished tart. 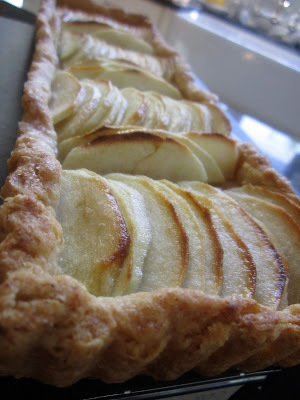 Adds moisture, apple flavor and sweetness.